Thank you for joining The MBA Admissions Studio. 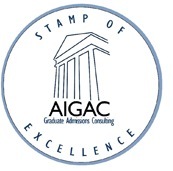 We look forward to working with you to achieve your highest admissions goals. Order process and payment links are below, but please first read these 10 simple principles of engagement which are for your protection and ours. Signing up means you have understood and agreed to these principles. 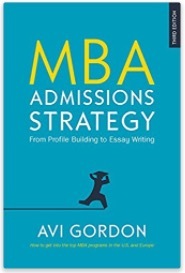 As evidenced by many hundreds of success stories, the MBA Admissions Studio greatly improves your chances of admission – but cannot and does not guarantee you a place at any business school. Working with MBA Studio does not imply such guarantee. 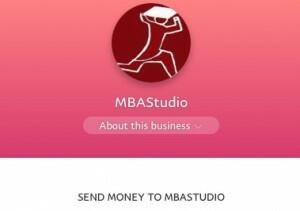 MBA Studio maintains strict confidentiality regarding any material you send us, any discussions we have, and the fact of our relationship itself. You may publicize it at your discretion. MBA Studio respects and upholds the ethical process of admissions. We do not ghost-write or otherwise condone clients submitting work that is not substantively their own. MBA Studio sets the highest standards in the industry for every service provided. Please note, however, that we are not a proofreading service, and expressly disavow legal or financial responsibility for any errors of fact, or typography, or any other errors of commission or omission. You are entirely responsible for managing the timing of your application. You may make your timing calculations on the basis that we will almost always turn around any material you send us in no more than 48 hours (usually less). This time excludes weekends. MBA Studio expressly disavows legal or financial responsibility for missed deadlines, whether to do with timing of work, or electronic (email or otherwise) failure, or for any other reason. If you suspect electronic communications failure please contact us by phone, or email, or Skype ‘mbastudio’. Please “allow” avi.gordon(at)mbastudio.net, email(at)mbastudio.net, and mbastudio.net(at)gmail.com as friendly email addresses in your email system, so that our emails to you are not routed to spam. Please, nevertheless check your spam folder, particularly where deadlines are tight, as electronic filtering is far from perfect. With advance notice, we routinely work overtime to meet client deadlines at no extra cost. However, if presented with a last-minute, same-day, or unplanned next-day deadline, this becomes a rush job and carries an add-on fee. Services are assessed as per the information on this Web site, which may be updated from time to time. If fee changes occur they will apply to all work not yet paid for. Prices are transparent to users, and while we adapt services and packages to client needs, we do not offer special private deals. Payment is assessed on ordering of service. Clients are encouraged to use all services that pertain to their order, but where services are not used for any reason, these services are not refundable. Payments for per-school essay reviews may be switched between schools provided no work has occurred on the school switched from. In the (unlikely) event you decide to leave MBA Studio, you are assured of a no-quibble, pro-rata refund on services or packages not yet started, within a calendar year of signup. Service quality is our top priority. You are encouraged to define your needs as closely as possible and, in the event of concerns, to raise them as soon as possible. We value your feedback in delivering the best possible service to you. a. It is important when reviewing essays to be able to consider any essay in the context of the entire set, to look for repeats, or for ‘holes’ in the application, or for where text should be in one essay rather than the other. Therefore, when submitting essays please send the entire set even if only one essay is being reviewed. b. For similar reasons, please send essays in one file. This makes navigation far easier. c. You should write your essays to the highest standard you can get them, and closely edit them yourself for clarity and grammar before sending. The better the essays are to start with the better they will emerge from the reviewing process. d. You should write slightly over length to allow for contracting in editing, but please do not write more than 20% over. e. After you have sent essays for review, please do not continue to update them yourself. This will cause two versions to be in play, with obvious pitfalls. You may, of course, continue to work on your essays but it is your responsibility to incorporate your updates into the original version, when you get it back. 1. Assess your total based on your choice of service(s). 2. Make payment via link below. 3. Send your material and any comments/explanations directly to avi.gordon(at)mbastudio.net or mbastudio.net(at)gmail.com . Admissions document files are small and normally it works fine to simply attach your document to your email, but you are welcome to use google drive or a similar service. MBA Admissions Studio prices services in US dollars. Payment engines will translate dollar amounts into the currency of your bank card or check service. Please put your total into the PayPal ‘Item price’ box which appears on clicking through. Detail your purchase, if necessary, in the ‘Add special instructions’ box during checkout. MBA Studio can provide bank details in the US or UK for bank transfer.